The Adjustable Lead Shield is raised by easily rotating a hand crank which operates a screw jack (see picture). 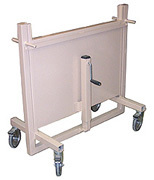 The shield is set in a metal frame and mounted on four casters that provide maximum mobility. Swivel and wheel locks on each caster provide a means of securing the shield in place. The Fixed Rolling shields have a 1" thick, 24"H x 36"W lead sheet which will reduce the dose from a cesium source by over 90%. The shield is mounted on a four 5" diameter swivel locking ball bearing casters which provide easy mobility. 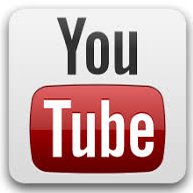 Follow us on twitter and youtube. Check out our instrument demos.